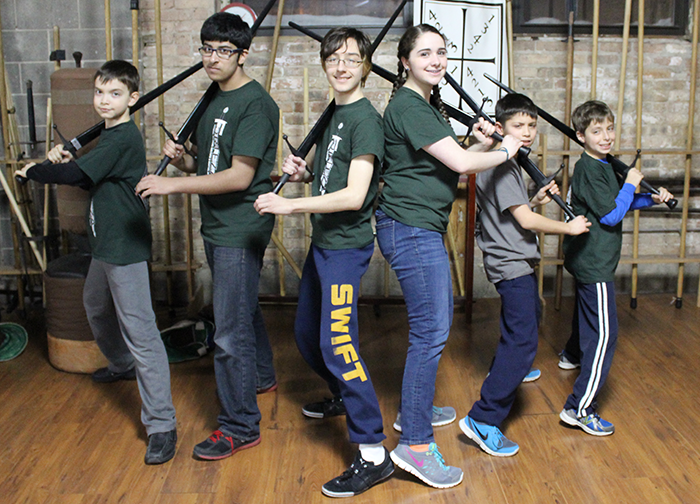 Our youth swordplay program is specifically tailored to meet the needs of children ages 8 – 15 in a unique athletic program designed to engage your child’s mind and body, instill self-confidence, and promote teamwork. 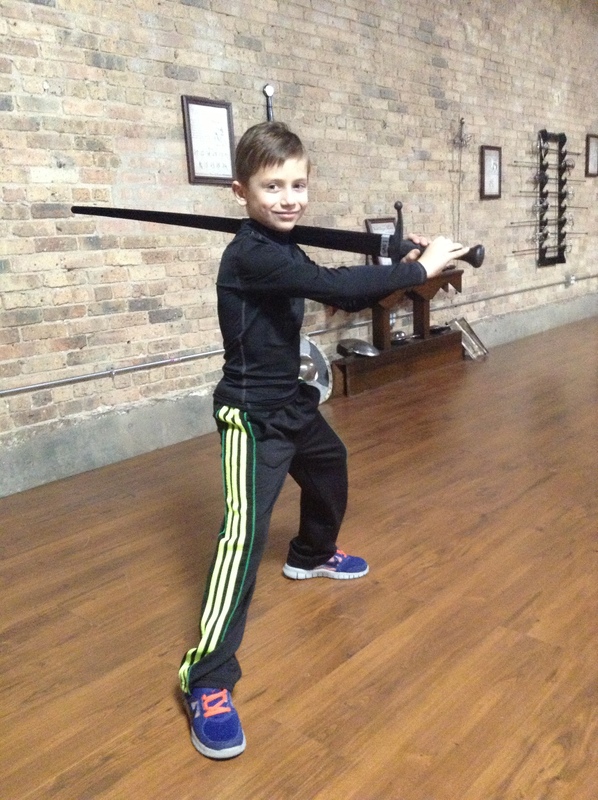 More than just another martial arts class, our youth program is designed to develop life skills and ethical, self-confident young men and women, based on the traditional, seven chivalric virtues of the medieval knight. Classes interweave physical training with teamwork exercises, lessons on medieval and Renaissance military history arms and armour, heraldry, and short reading assignments to hone their minds and surely as their bodies. An improved sense of poise and confidence, as well as a high degree of athleticism. Improved self-discipline as a result of our supportive environment where respect and accomplishment are encouraged. Inspiration to learn about history. An understanding of the responsibility of studying martial arts, and the ethics of their use. Experience working with longswords, rapiers, polearms, as well as medieval and renaissance wrestling techniques. Practical martial arts skill that will allow them to seamlessly continue in our adult program, if they wish to continue on. This exciting new program meets on Mondays and Wednesdays from 5:00 – 6:00 PM, and Saturdays from 9:00 – 10:00 AM.